Vena System is a new automated trading software app for trading binary options which opened on January 15th, 2017. You probably never traded binary options before, and have no idea how these auto trading system work. Take a moment to read about binary option robots. Also, you should know many online brokers are not licensed as banks, learn more about fake binary options brokers. Sadly, there are many people who lost money using a software like Vena System. Today you can find hundreds of binary option robots available for free, when used with their recommended binary options broker. We reviewed the new trading robot called Vena System and see that it is not a new trading software, rather it was once called Orion Code. 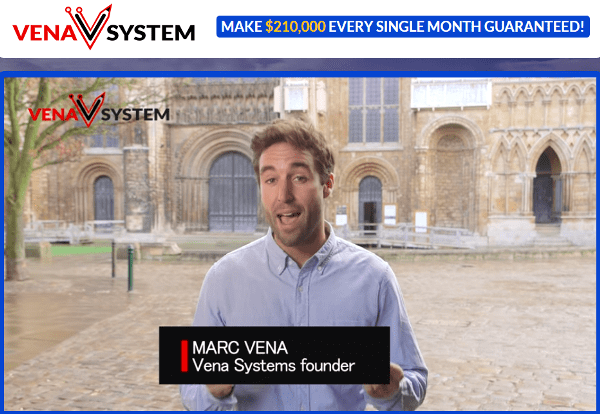 The developers who built the Vena System just renamed an old software, created a new video with a guy in London, and told you that it will make you boatloads of cash. Vena System is a basic binary options signal software and automated trading robot. The system gives you a couple of options to select like the minimum amount per trade. If you want to use just the signals component without auto trading, then you will still need to make a deposit at the broker they tell you too. 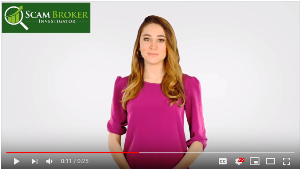 We looked for a way to select a licensed broker, but we couldn’t switch from the broker they assigned us. Sometimes we sign up again to these software’s, and they assign us a new broker. As we briefly mentioned above, the biggest problem with using any software is not so much the software itself, rather the broker you are using. Vena System is not a binary options broker, they are simply an add on software to use with a broker. When you deposit your $250 into your account at Vena System, you must know that Vena is not getting your money. Your money goes to your assigned broker. If you read about the binary options scam, then you know that each country has their own licensed binary option brokers. So remember, only use a regulated and licensed binary options broker! You can read the article: Why traders only use Licensed Brokers. Were you scammed by a binary options broker, or a bad trading software? Please share your experience in the comment section below. The website to login to Vena System is at: http://system.venasystems.co/ or http://TheVenaSystems.co.